Helping students stay healthy is our top priority, knowing that wellness contributes to academic and personal success. In addition to our board-certified primary care team, our staff includes a variety of specialties encompassing mental health, various therapies, and health promotion. Our mission is to provide exceptional culturally competent health services and public health leadership that enhances personal success and optimizes health and wellness for a diverse campus community. Students play an invaluable role at University Health Center, and can influence the health of the entire campus. Your input and involvement helps create programming that reaches other students in relevant, impactful ways. Whether as a volunteer or in a paid position, you can meet new people, gain practical experience, and be exposured to future career possibilities. Do you have a commitment to serving students from diverse backgrounds with a wide range of health needs? We offer employment opportunities for medical, public health, and administrative professionals. It could be a student's first illness away from home, or explaining how to use health insurance—our team goes the extra mile to help students become informed healthcare consumers. 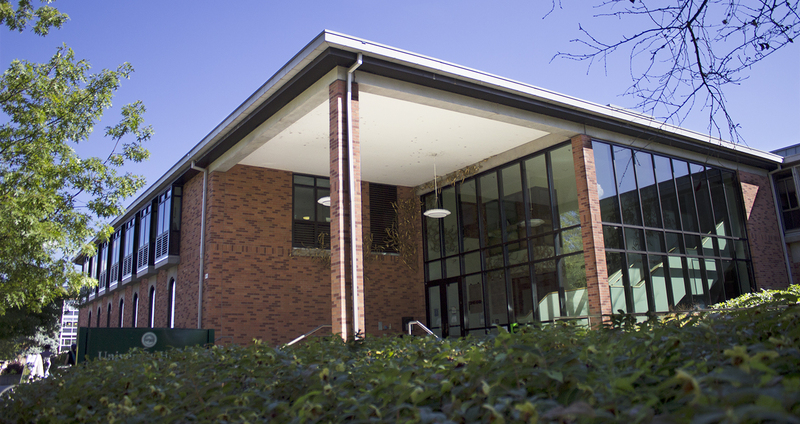 As a department within the Division of Student Services and Enrollment Management, we are dedicated to fulfilling the mission and priorities of the University of Oregon and the division. Our work is guided by strategic goals which define our direction and help us assess our efforts.